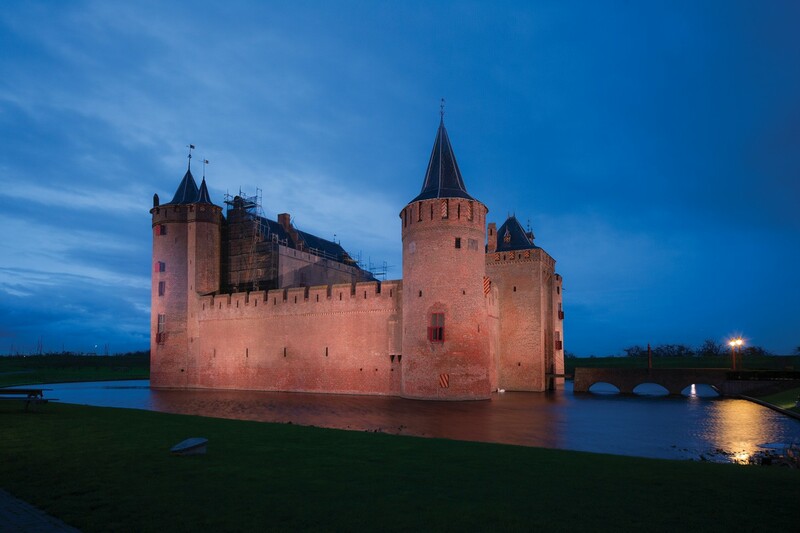 Built in 1280, the once derelict Muider Castle in the Netherlands has been restored as a national museum (or Rijksmuseum). 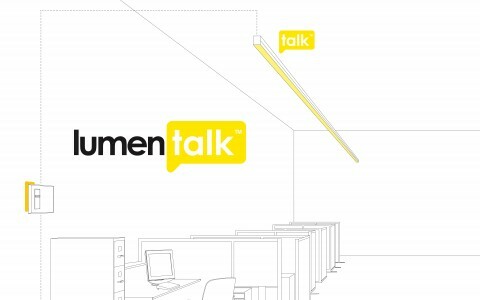 Unique Brands delivered a solution that directly replaced the old spotlights with Lumenbeam Large color-changing luminaires controlled with Lumenpulse’s breakthrough Lumentalk™ technology. There is now less light pollution because the lighting can be properly focused on the walls. Installed across the moat and aimed at the castle’s facade, the 50W Lumenbeam luminaires cut power by 80 per cent, reducing maintenance at a stroke. Lighting Design: Unique Brands b.v.
Lumentalk gave the Muilder Castle in Holland the freedom to upgrade to a flexible new DMX lighting system without the cost and hassle of having to change any wiring. The lighting is controlled under DMX and was commissioned off-site, so both programming and installation were simple without the expense of ripping up the street, and now they have less light pollution because the lighting can be properly focused on the walls. Built in 1280, the once derelict Muider Castle in the Netherlands has been restored as a national museum (or Rijksmuseum). Until recently, the Castle's exterior lighting was almost entirely concerned with security and comprised 12 harsh, high-pressure sodium spotlights, whose function was mainly to ensure clear visibility on CCTV. This did little for the castle's appearance at night and caused light to spill into the surrounding countryside. 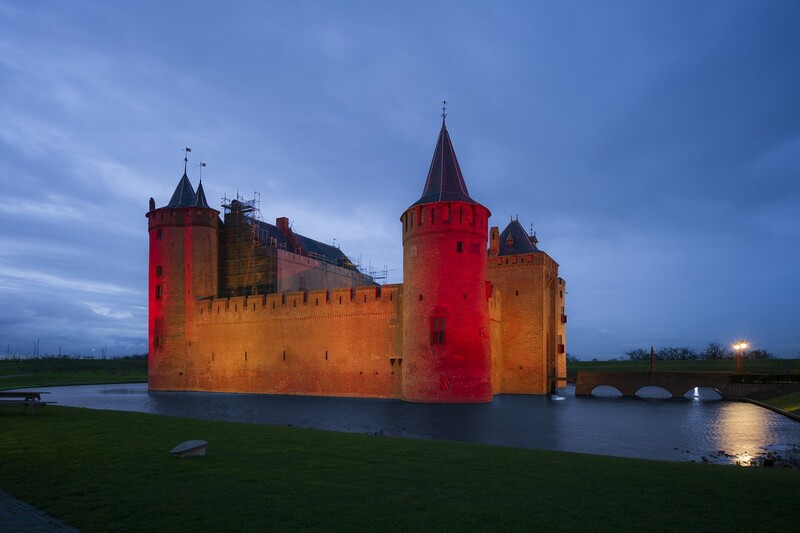 The castle's owner, the Rijksvastgoedbedrijf (the central government's real estate agency) wanted lighting that would make the castle more attractive as an evening venue, maintaining existing security levels but improving the performance of the lighting system. The challenge was to achieve this with as little disruption as possible. Working closely with Rijksvastgoedbedrijf architect Rob van Beek, lighting specialist Unique Brands delivered a solution that directly replaced the old spotlights with Lumenbeam Large color-changing luminaires controlled with Lumenpulse's breakthrough Lumentalk™ technology. Lumentalk is a patented technology that enables digital control of LED lighting over existing AC power lines, allowing the Castle to install new lighting, without digging up or moving any of the existing wiring. 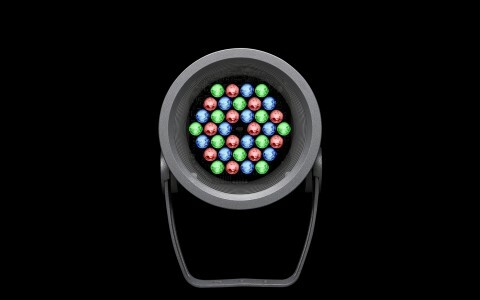 "The lighting is controlled under DMX and was commissioned off-site, so both programming and installation were simple without the expense of ripping up the street, and now they have less light pollution because the lighting can be properly focused on the walls," said Leon van Wingerden, Unique Brands director. 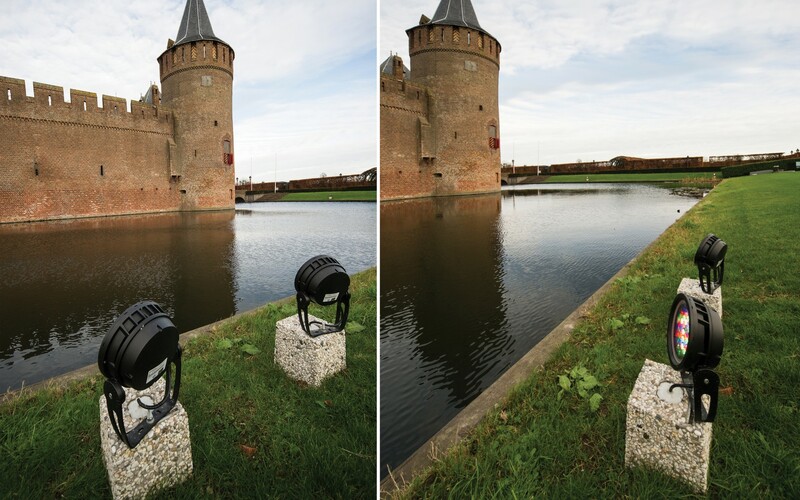 Installed across the moat and aimed at the castle's facade, the 50W Lumenbeam luminaires cut power by 80 per cent, reducing maintenance at a stroke. "We moved from 250W fixtures to 50W, but the energy and maintenance savings were not the main goal, it was really about increasing flexibility," van Wingerden said, adding that in order to give the castle greater color and programming options, an RGBW option was chosen. "The castle is rented out to charities and for dinners and events, and choosing RGBW provided a wider spectrum of options for corporate and special occasions," van Wingerden said. 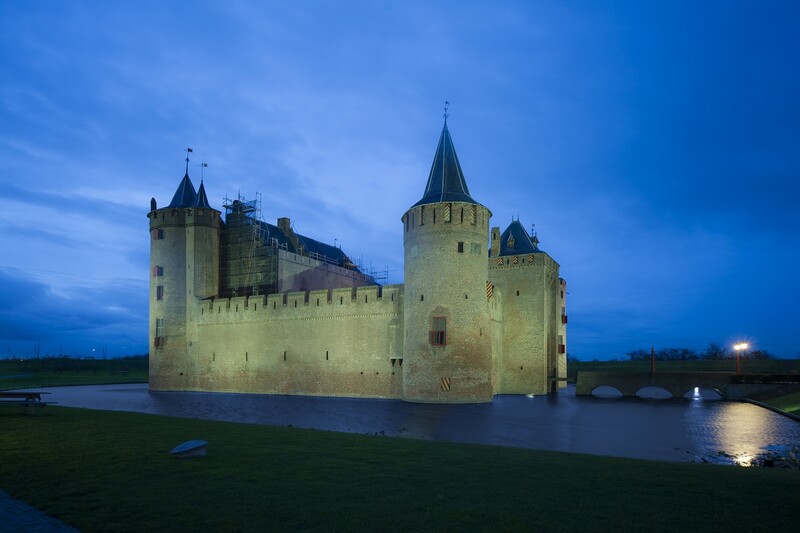 The result is a dynamic lighting system that has improved flexibility and the castle's appeal at night, all while reducing its cost of operation.